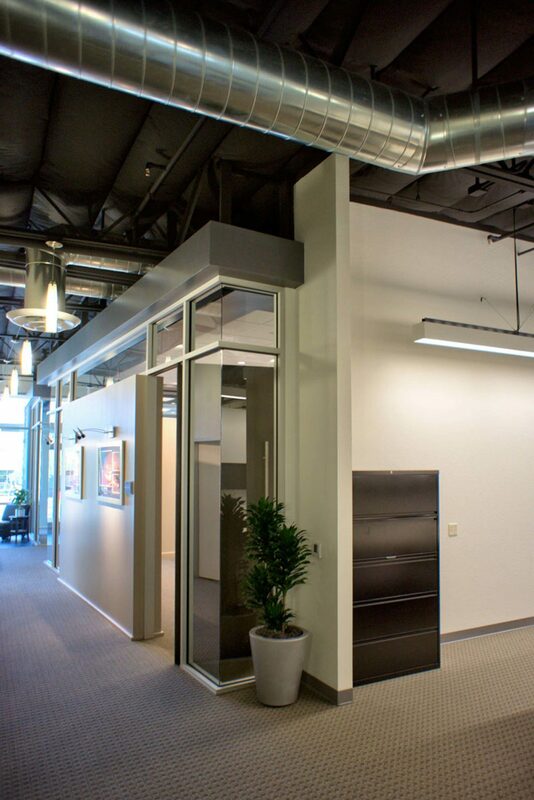 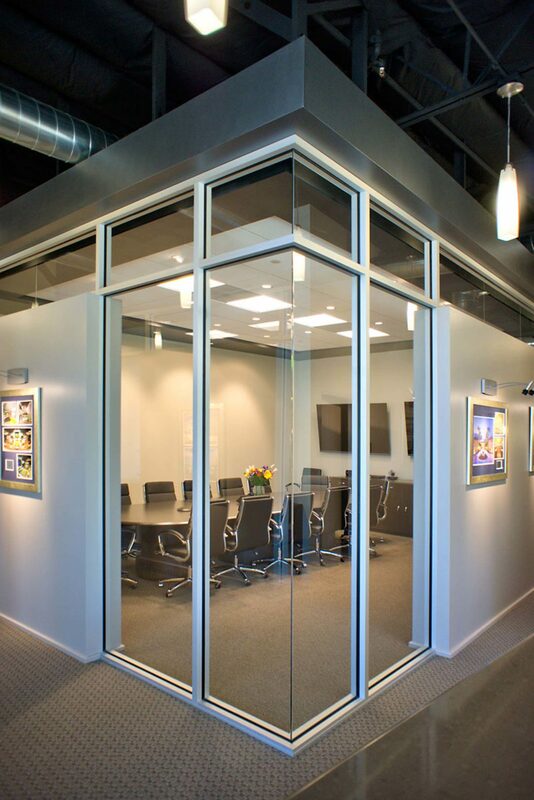 The design of the Penta Building Group’s Palm Desert office provides maximum flexibility for a company taking on both large and small projects simultaneously. 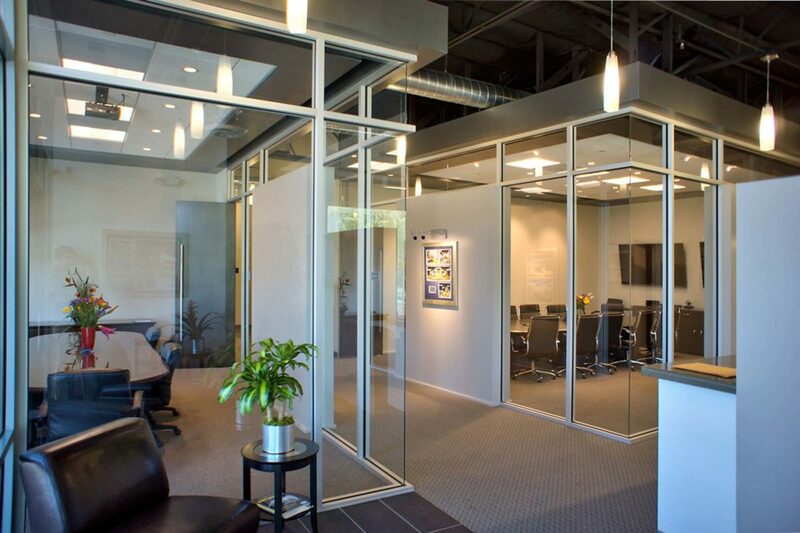 A unique spatial layout and use of angles make the conference rooms prominent while mitigating the effect of long corridors. 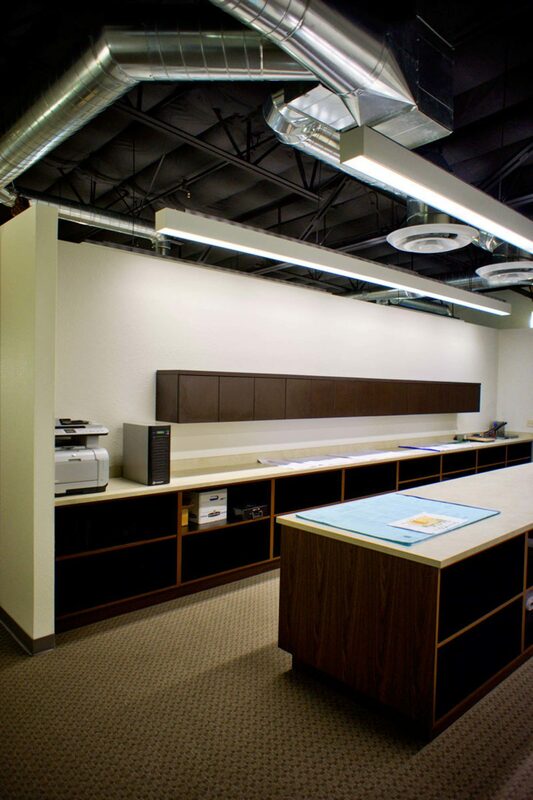 The project features a refined yet understated material and color palette with the occasional unexpected material application or color treatment. 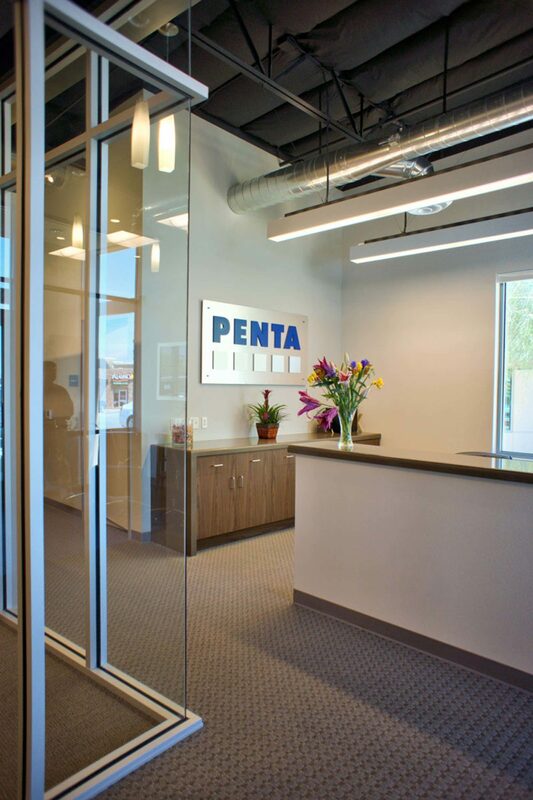 With this project Penta is able to use their office as an example of their capabilities to clients.